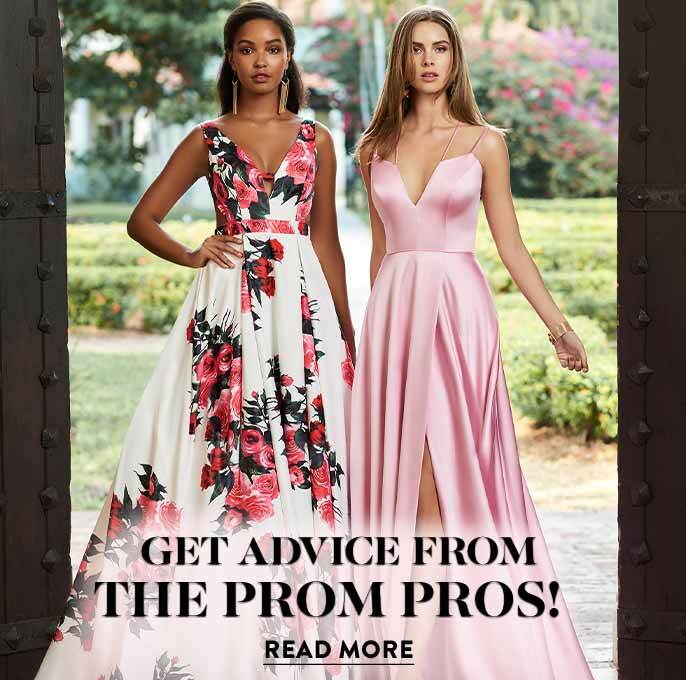 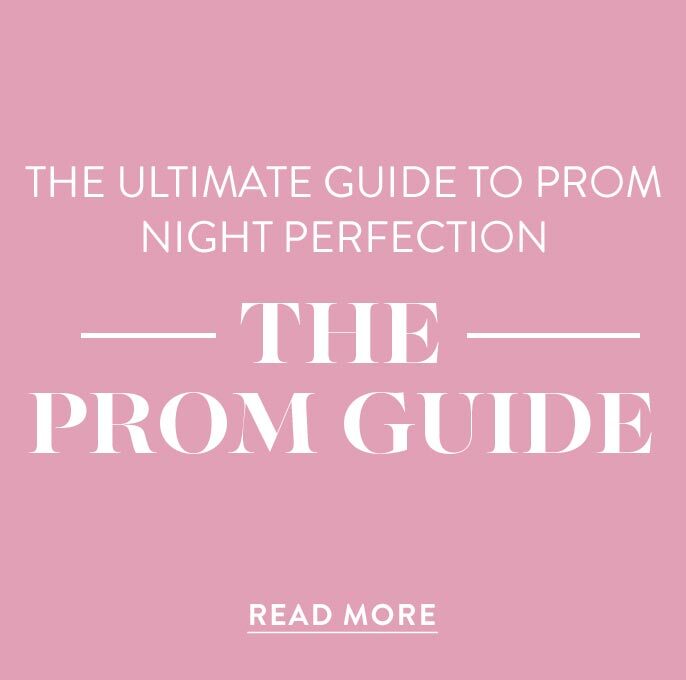 Sold exclusively by PromGirl, this long mock-wrap prom dress from JVNX by Jovani is a unique and beautiful choice for prom 2019. 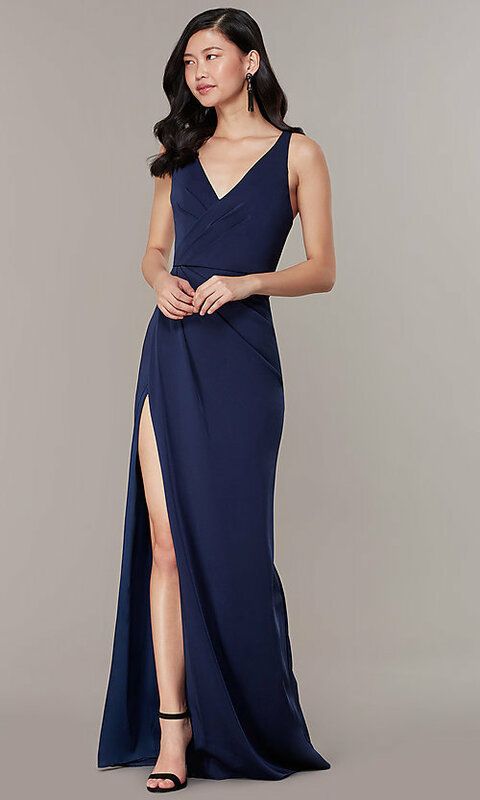 The luxurious navy blue satin of the designer prom dress wraps the figure with a fitted sleeveless bodice and eye-catching long skirt. 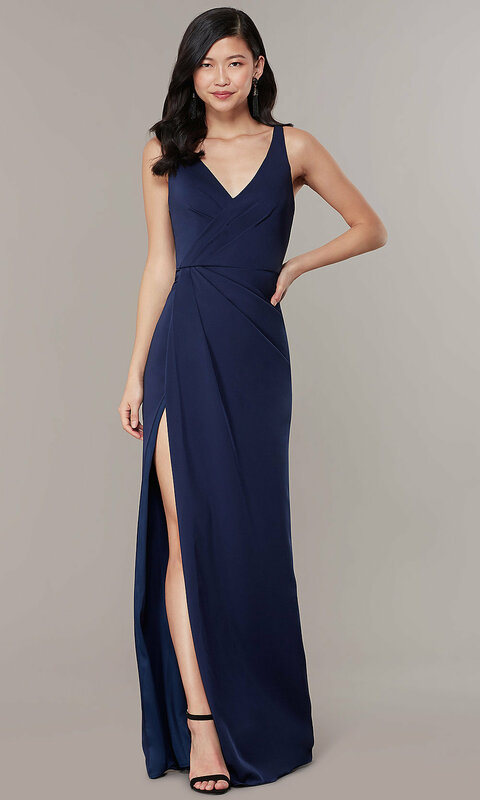 The mock-wrap design of the blue formal dress creates a surplice v-neckline and a daring side slit. 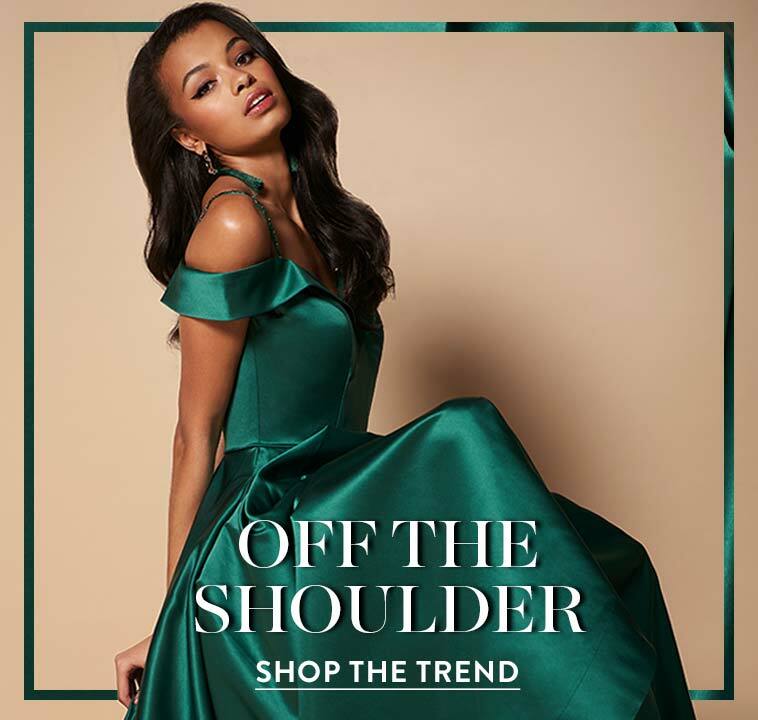 At the zipper below the open back, ruching provides subtle texture and finishes this mock-wrap long prom dress with an extra bit of flair.